Honda‘s previous offering in the premium end of the 150-160cc segment was unable to ruffle too many feathers, selling in very small numbers towards the end of its innings. The Japenese auto giant launched a replacement for the CB Trigger in the form of the CB Hornet 160R last year. Showcased first at the RevFest in 2015, the bike comes with the same heart as the Unicorn 160 but boasts more power and torque and sportier dynamics. The Hornet will go up against established rivals such as the Suzuki Gixxer, Yamaha FZ-S, etc. 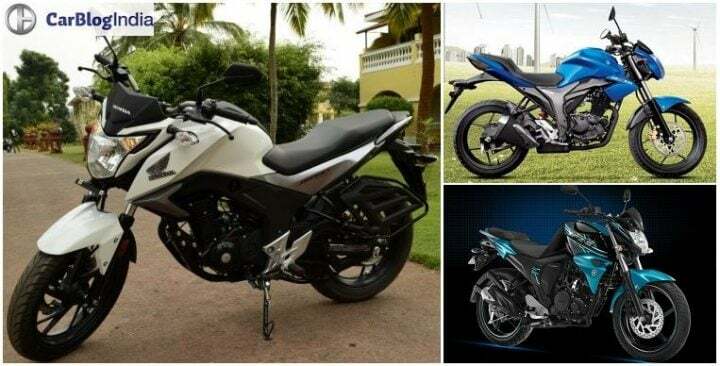 Here’s our Honda CB Hornet 160R vs Suzuki Gixxer vs Yamaha FZ-S spec sheet comparison to help you figure out which of these three bikes best suited to your needs. 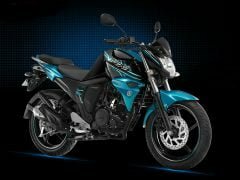 The Hornet’s price manages to undercut Yamaha FZ-S by a couple of thousands but is still more expensive than the Gixxer. The Hornet and the Gixxer are offered with a front and rear disc option, but those variants are more expensive than the single disc versions by around 4,000 – 5,000 rupees. All three bikes are offered with a fully digital console for the speedo and tacho. The Gixxer additionally gets a shift indicator light as well. 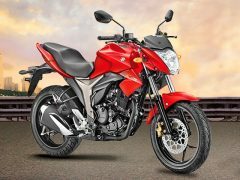 Apart from that, the features list does not differ much as most of the features are common between the three motorcycles here. While the Hornet and the FZ-S are available with five colour options, the Gixxer is offered with four. 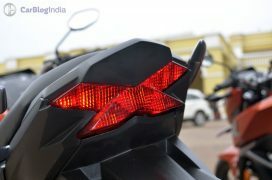 LED tail lamps are offered on the Hornet and Gixxer while the FZ-S does with a conventional bulb setup. Hornet does not come equipped with an engine kill switch and is unlikely to get it anytime soon. The Honda Hornet is the most powerful of the lot and boasts the highest capacity engine. All three motorcycles come with a 5-speed transmission and front disc brakes. Suzuki has also introduced a rear disc variant of the Gixxer, a feature that was earlier available only on the Hornet. Only the Yamaha FZ-S power unit benefits from fuel injection. 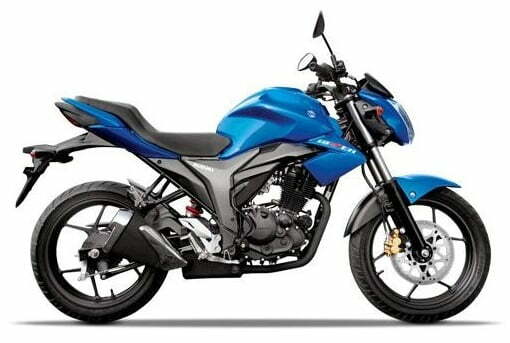 Suzuki Gixxer’s claimed mileage is the highest followed by the Hornet and the Yamaha FZ-S FI. The Yamaha FZ-S has to be the most familiar face among these motorcycles as it has been around the longest. Although the Version 2.0 isn’t that old, the styling isn’t a major departure from we have seen on the original FZ. It is still a very smart looking bike whose attractive appearance is aided by muscular styling, a meaty rear tyre, etc. The Gixxer is another very well designed machine and the bike’s looks are one of the reasons behind its popularity in India. Honda has done a good job with the styling of the Hornet, which does complete justice to the bike’s sporty intentions. The beautifully sculpted fuel tank, X-Shaped LED taillamps, split spoke alloys, etc., ensure its looks as good as the competition, if not better. Design: Looks are a matter of personal taste so we will let you decide which of these three bikes you prefer in terms of design. Features: Apart from a gear shift indicator, all three bikes come with a similar set of features. The FZ-S does not get LED taillamps like the other two. 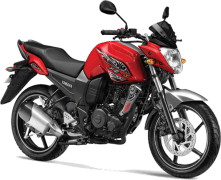 Specifications: The Honda CB Hornet is the most powerful of the lot. 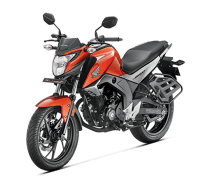 The FZ-S’ performance is aided by a fuel injected engine. Price: The Gixxer turns out to be the cheapest motorcycle here and also the most fuel efficient which means it should be the easiest on the pockets. The Hornet’s price falls somewhere in the middle of the Gixxer and the FZ-S.
We hope our Honda CB Hornet 160R vs Suzuki Gixxer vs Yamaha FZ-S spec sheet comparo helped you in choosing the right bike. Please feel free to express your views via the comments section below and stay tuned to CarBlogIndia for more such comparisons and reviews.